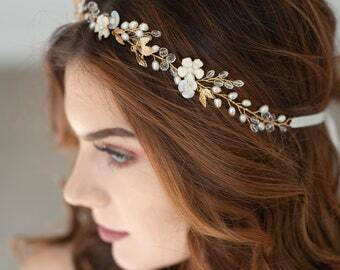 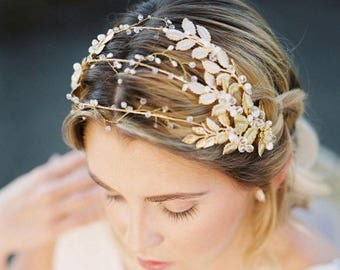 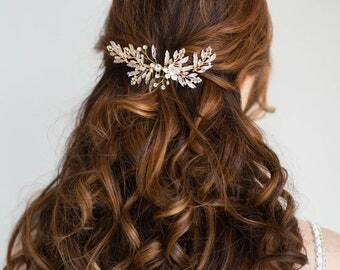 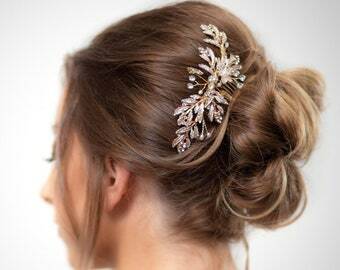 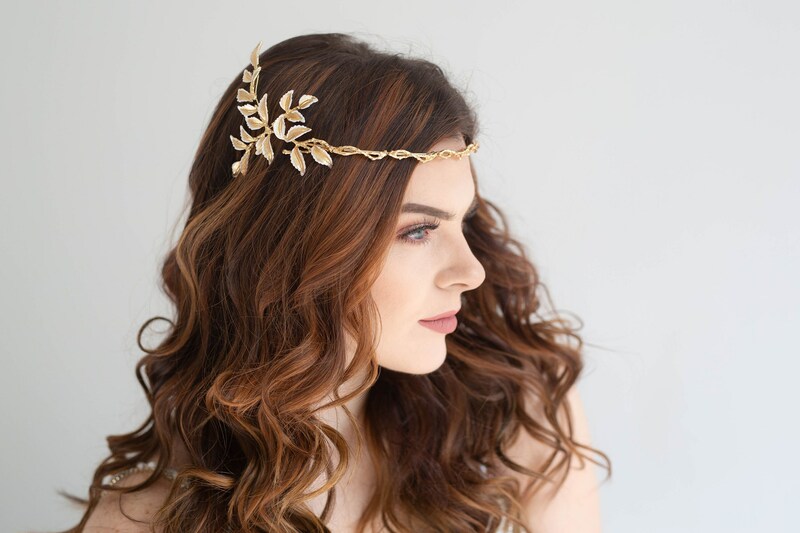 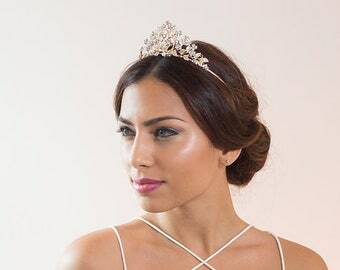 This gorgeous headpiece will make a grand statement at your wedding or special event and can be worn on it's own or with a veil tucked into your hair like the third photo. 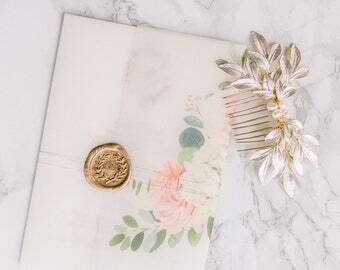 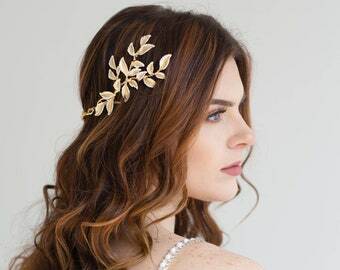 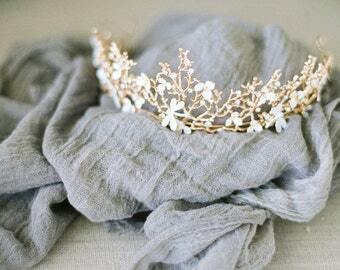 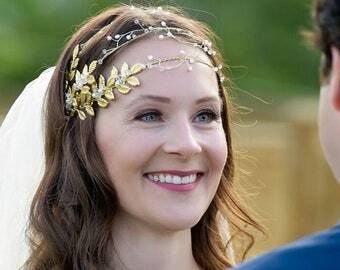 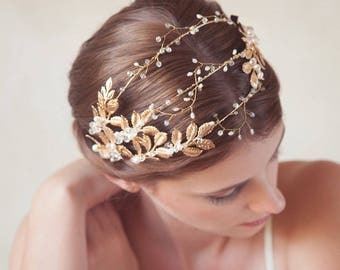 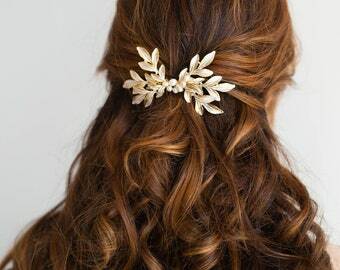 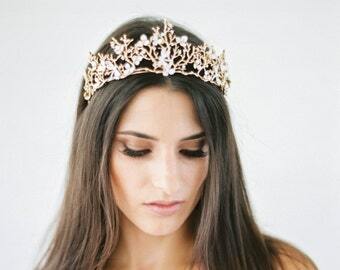 Crown is made in pretty vintage gold tone and the tips of the leaves are hand painted with white enamel paint. 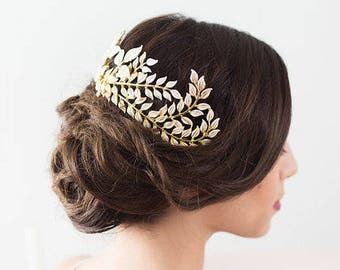 You can also wear this with the leaves facing the back if desired.